"The only American composer in history who can be called a mystic, whose probing, serene work contains an elusive and indefinable ingredient which leaves the impression that all the questions have been answered"
Celebrating the life and music of National Medal of Arts recipient Morten Lauridsen, this website provides access to his words, music, and recordings, along with the award-winning film about his life, Shining Night and the companion book, Morten Lauridsen's Waldron Island Reflections. Composer, performer and educator, Lauridsen has spent his lifetime listening in deep silence to the 'inner song', bringing forth choral works of radiant beauty for the world to hear and sing. If you have never heard his music before, listening selections are embedded throughout, helping you begin your discovery. 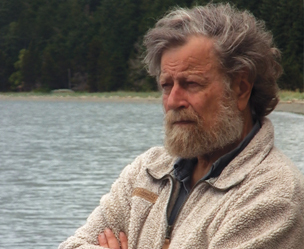 If you already know Lauridsen's music, this site will give you an opportunity to explore more deeply, gaining new appreciation for his musical legacy.